Last Saturday, Oct 15th , at the Seattle Asian Art Museum, one of the great New Dutch Swing outfits, Trio BraamDejoodeVatcher, performed as part of the first week’s lineup of the 2011 Earshot Jazz Festival. 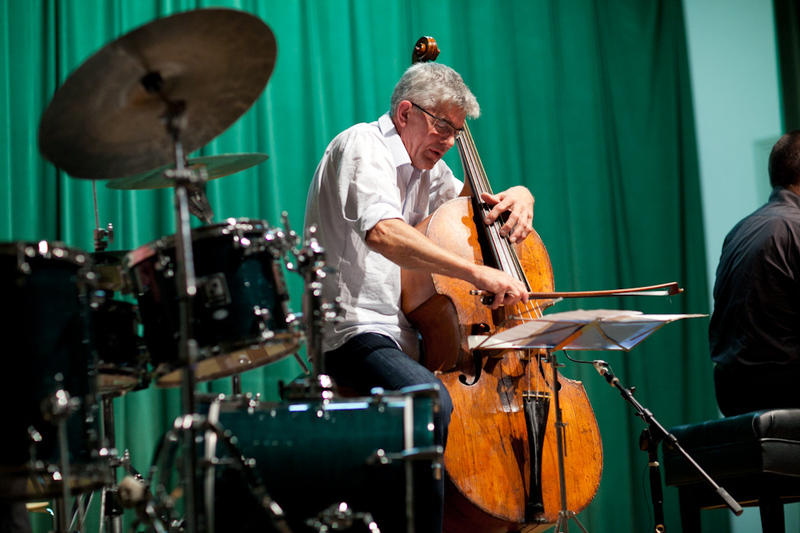 They are as creatively unpredictable as they are stunning musicians: Michiel Braam (piano), Wilbert de Joode (bass) and American-in-Amsterdam Michael Vatcher (drums). Photos are by Seattle photographer Brian Hartman. See who will be playing this week in upcoming concerts in the Earshot Jazz Festival Schedule. 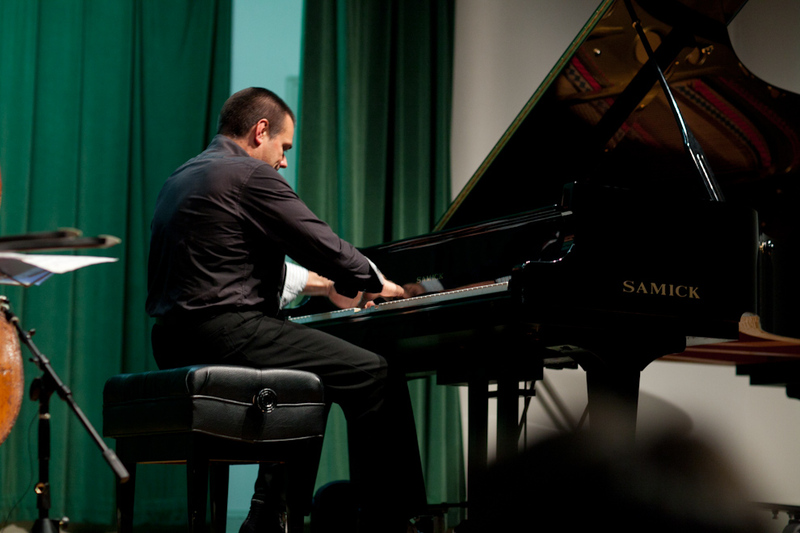 While the American jazz world’s focus is understandably within its own shores, the fact is that Europe has produced as much genre-expanding music over the last few decades as the form’s home continent. With an admixture of folk strains and fresh perspectives, European players and composers have constantly refreshed the art form. Nowhere has that been more true than in the Netherlands. It was no mistake that Eric Dolphy looked, late in his career, to two emerging masters, pianist Misha Mengelberg and drummer Han Bennink, to bring new growth to his already reimagined jazz. And no two players have had a greater influence on what has since emerged from Amsterdam, which has now long been one of the great hotbeds of musical art. For ensuring its continued good health for years to come, we can thank the likes of pianist Michiel Braam, double bassist Wilbert de Joode, and drummer Michael Vatcher. Together they comprise one of the freshest small ensembles in jazz. They typify a European simultaneous devotion to the whole tradition of jazz and wariness of tired jazz tropes that continue to underpin so much American jazz product. Their take is at once savvy, experimental, and alert to audiences’ wishes to be both transported and embraced. 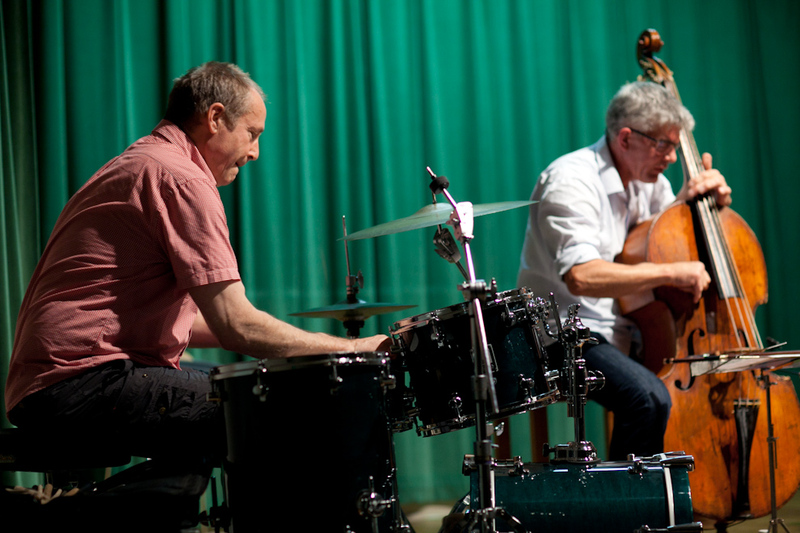 All three members of the trio are great, intuitive improvisers, and all three have the chops to make much of the moment by moment eddies that flow among them. BraamDeJoodeVatcher is a collective in the true sense: the three players drive each other forward, and have each other’s backs. 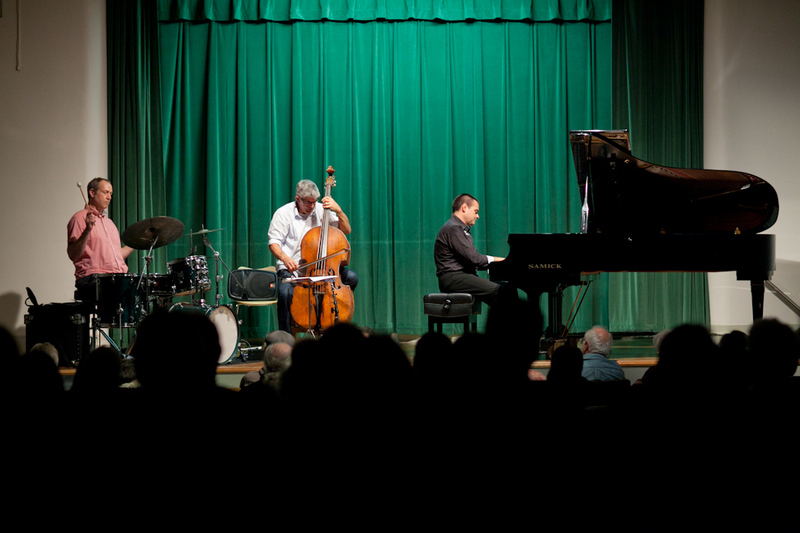 Among tours of Europe, North America, Japan and Indonesia, the three masters ensured the freshness of their sound by such measures as adding a fourth player to each appearance by their 2010 project, Trio BraamDeJoodeVatcher Quartet, and they were players of vastly varied styles and histories – Fred Anderson, Paul Dunmall, Taylor Ho Bynum, Mats Gustafsson, Nils Wogram.